Community star McHale and veteran games journalist Keighley start the former Video Game Awards show at 6 p.m. EST, Friday. Community star and The Soup host Joel McHale will join Geoff Keighley to emcee the VGX awards, airing Friday night on Spike TV. The announcement came today via Keighley's Twitter account. 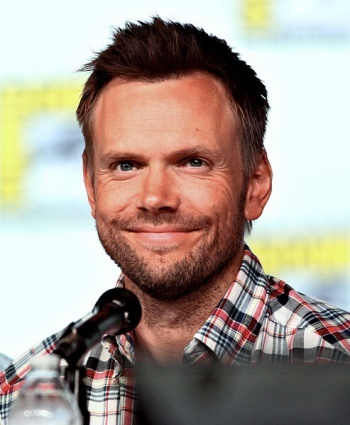 McHale has played lead character Jeff Winger in NBC's Community since the series started in 2009. The sitcom will begin its fifth season in January. McHale also hosts E! 's The Soup and has been the master of ceremonies at several official Ubisoft events. Video game journalist Keighley currently hosts Spike TV's Game Trailers TV. The VGX Awards, formerly known as the Spike TV Video Game Awards, air tomorrow at 6 p.m. Eastern. Also confirmed to be in attendance are the creators of South Park, who will be showing a preview of the upcoming game South Park: The Stick of Truth. Other previews to be shown during the awards include Titanfall, Broken Age and The Witcher 3: Wild Hunt. And if you're interested in trying out some of the games up for awards this year, Steam currently has a bunch of them discounted.